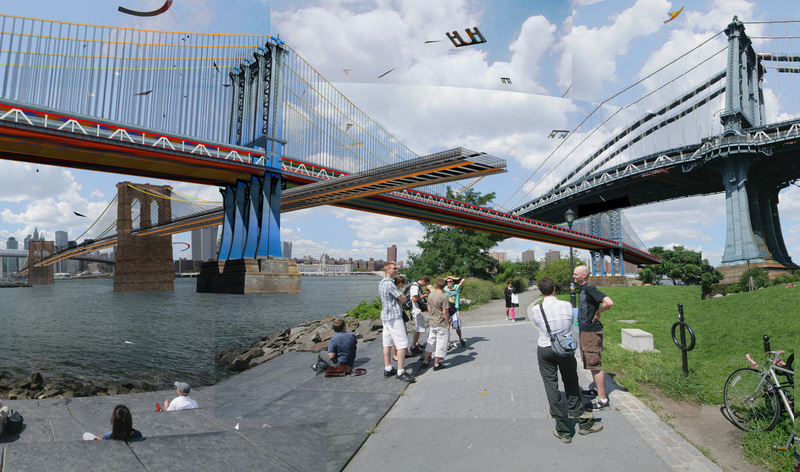 Manifest.AR is exhibiting works derived from the Venice Biennial 2011 AR Intervention at the 2011 DUMBO Arts Festival. To view the work on location, bookmark the Project Launch page on your iPhone or Android. Site tours and performances from Manifest.AR will start at 5:30 – 6 Friday Sept. 23, Saturday, Sept 24 and Sunday, Sept.25. DUMBO Arts Festival volunteers will also be available with iPads to give tours throughout the festival days. 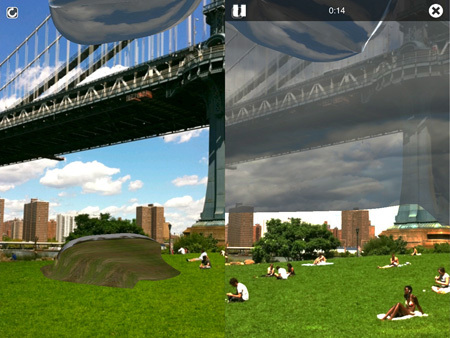 Launch Sky Pavilions on your iPhone or Android now. Launch Shades of Absence on your iPhone or Android now. This series of works takes images of contemporary artists whose works have been censored, reduces them to gold silhouettes and places them in the midst of terms of transgression. Each erased silhouette stands for countless unknown or lesser known artists who face censorship or persecution with no public support. The artworks premiered as an intervention at the Venice Biennial 2011 and are in invitational shows at the Samek Art Gallery and in the ISEA2011/Kasa Gallery as an official parallel program to the Istanbul Biennial 2011. 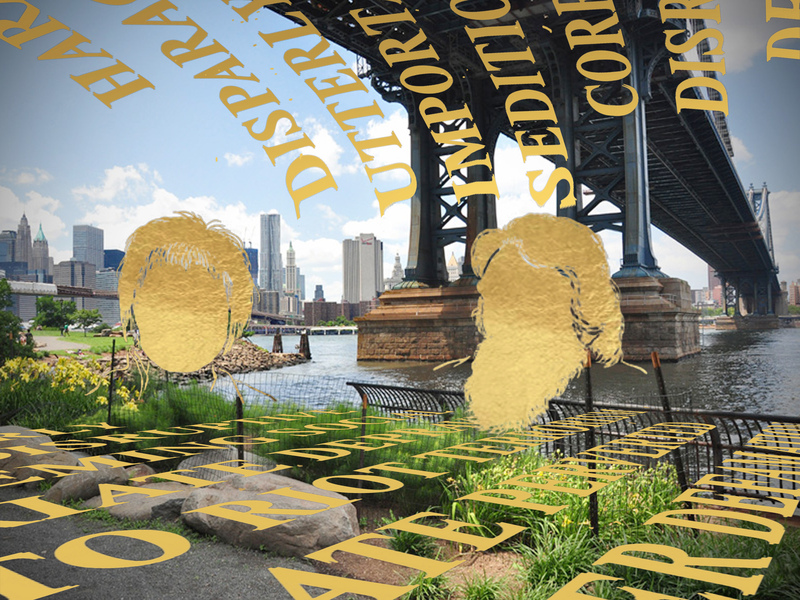 “Shades of Absence: Outside Inside” (Main Street Park, at the base of the Manhattan Bridge) addresses artists who face arrest or physical violence because of their art. 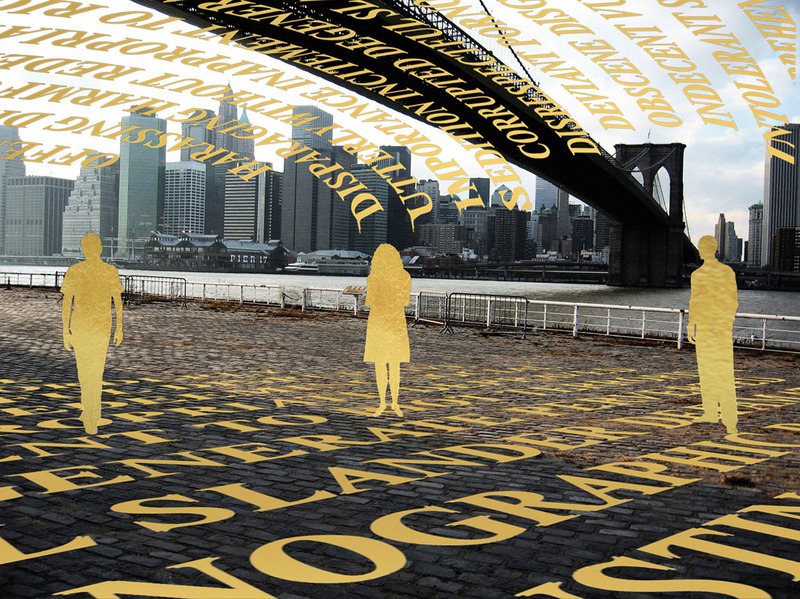 “Shades of Absence: Public Voids” (at the base of the Brooklyn Bridge) addresses artists whose public artworks have been censored. Touching the screen while viewing the artwork brings you a link to this webpage with information on cases of censorship of visual artists. 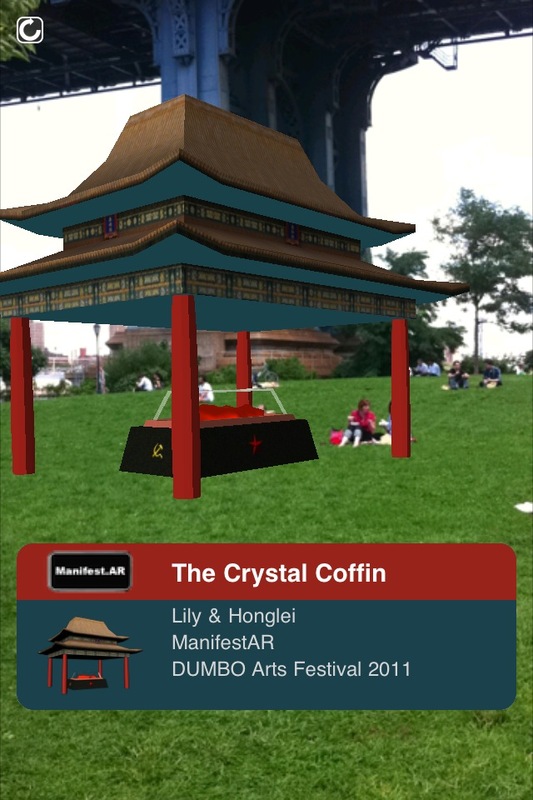 Launch Crystal Coffin on your iPhone or Android now. The augmentation is inspired by the crystal coffin displayed in Mausoleum of Mao Zedong on Tiananmen Square since 1977, a year after Mao’s death. In the twenty first century, while China has been transforming itself into a modern society in many ways and gaining more influences economically and politically around the globe, Mao’s crystal coffin, the immortal-looking shell, remains exist as a symbol of authoritarian ruling system. During spring 2011, a crackdown on dissent – including detaining many intellectuals and members of religious group – followed by distinct signs of revival of Maoist policies, has left people baffled about the future direction of China. We therefore use Crystal Coffin of Mao as main body of the virtual China Pavilion, which is topped with a tower and roof with ancient Chinese looking, as regulated by Ministry of Construction of China: architectural ‘designs must reflect traditional Chinese building styles. Launch Water wARs on your iPhone or Android now. 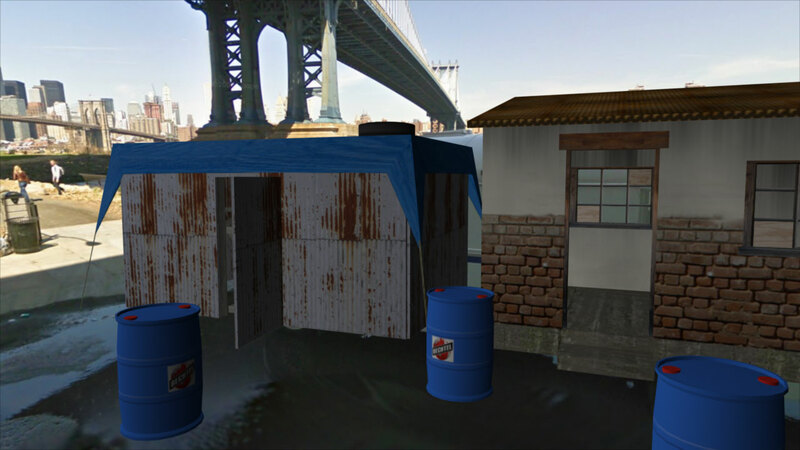 “Water wARs” anticipates the flood of environmental refugees into the developed world caused by environmental degradation, global warming and the privatization of the world’s drinking water supply by multinational corporations like Bechtel. 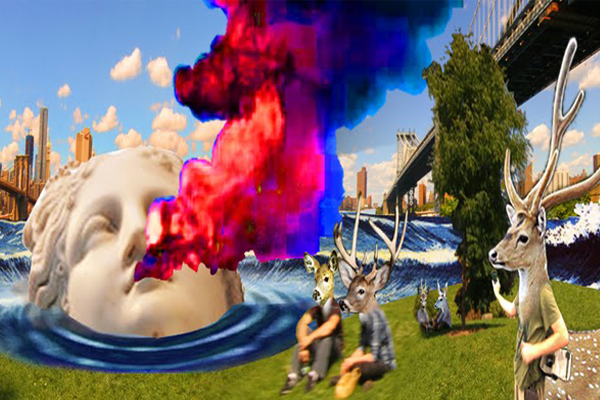 Artist John Craig Freeman, in association with the augmented reality artists collective ManifestAR’s, has created a public art work in Venice, Istanbul and now under the Brooklyn Bridge during the 2011 DUMBO Arts Festival. Launch The Island on your iPhone or Android now. Lucky visitors who come to “The Island” get their wish’s granted during the Dumbo Arts Festival 2011! On September 23 at 6:30, the 24th at 6:00 and during the entire festival lucky visitors may have one wish granted. 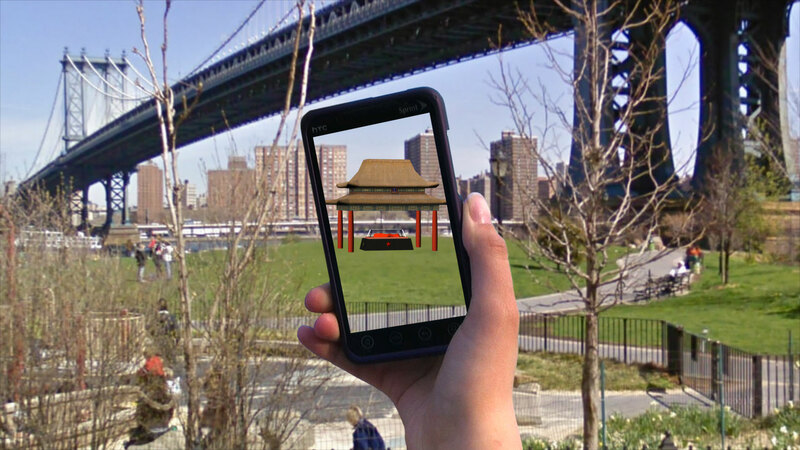 Visitors with supported smart phones may visit “The Island” during the Dumbo Arts Festival. 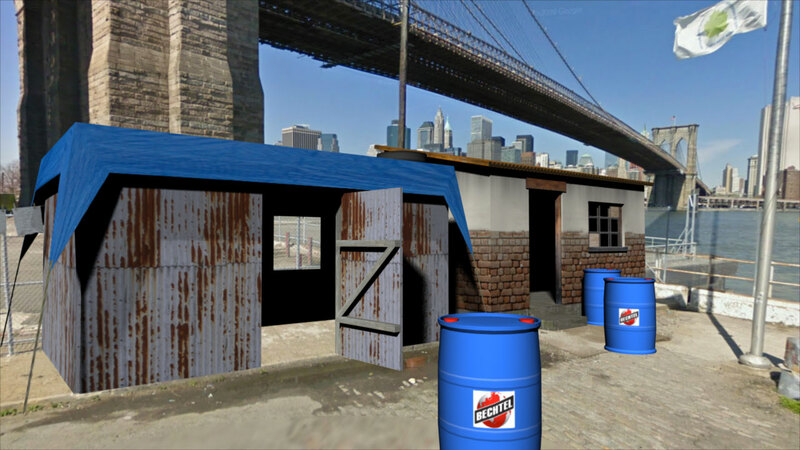 To enter “The Island” go to the Brooklyn Bridge Park Main St. or Washington St. entrance. At these entrances turn on your smart phone and load the “Layar” app. Search for “The Island” and launch the app. 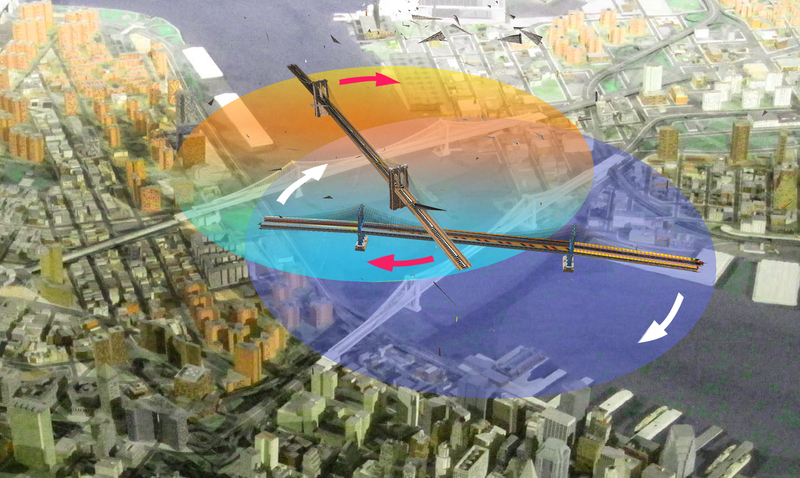 An ocean and a bridge will appear leading into the park. The bridge leads to an island in the middle of the park. Care should be taken of the ocean while crossing the bridge. Once on the island walk to the top of the hill at the center of the park. Look for the island mystic. It is through the island mystic that island visitors may communicate with the island goddess. 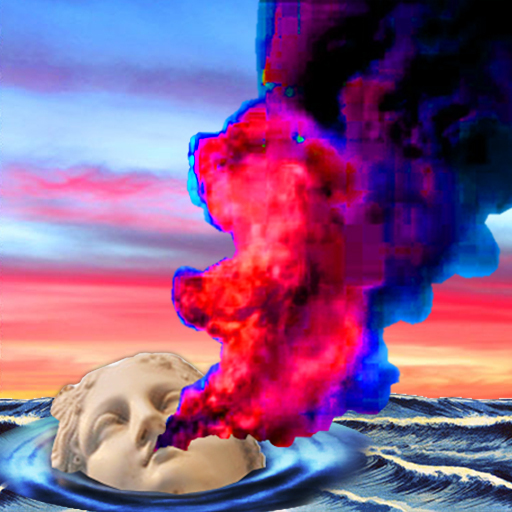 If you are lucky you may ask the island goddess for one wish. Before coming to the island think very carefully what to wish for because only one wish will be granted to a lucky viewers. If you are lucky the goddess will grant your wish! Launch project on your iPhone or Android now. 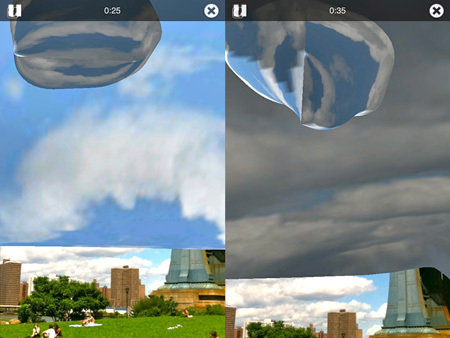 Unfortunately, there will be no AR artwork of Sander Veenhof in the skies above Brooklyn during this show. 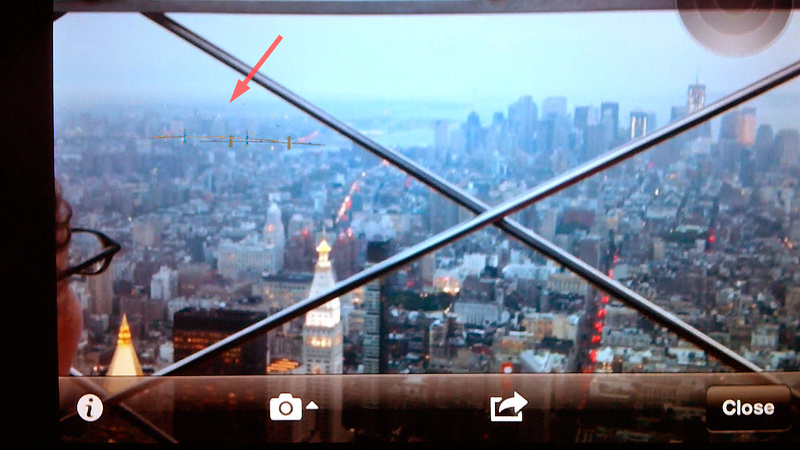 Fortunately, you can view his Augmented Reality screensaver filling up the empty space. In addition to its debut in Venice and Down Under the Manhattan Bridge Overpass, this work is on exhibit in “Not There” („Orada Değil“) at the Kasa Gallery in Istanbul, in association with the ISEA2011, Istanbul and “Not Here” at the Samek Art Gallery, at Bucknell University in Lewisburg, PA.